We designed this R&D workspace for mobility and minimalist expression. 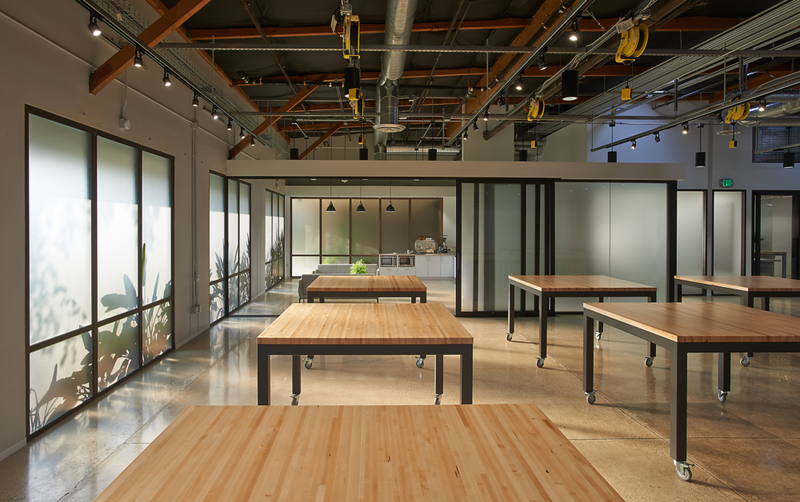 Large square butcher block worktables on casters roll smoothly into the adjacent workshops via 25 ft. wide sliding glass door openings. 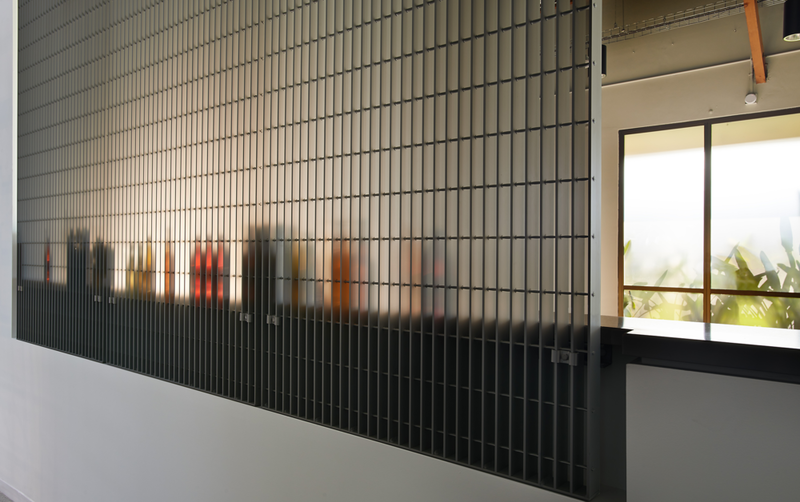 Industrial aluminum grating provides visual privacy at the entry and also screens equipment tucked above the labs. 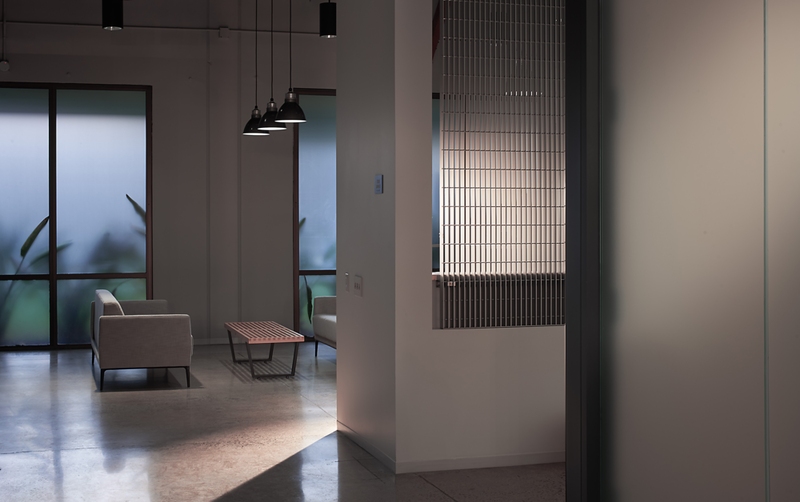 DWA integrated the exposed structure, HVAC, overhead power reels, and layers of pendant and LED track lighting for this lab environment to be as every bit polished as its concrete floors.